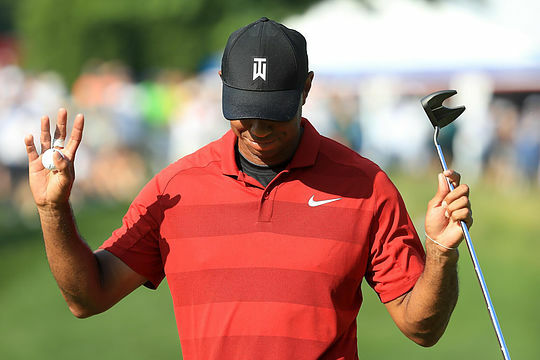 Even with the support of the golf’s biggest name, Tiger Woods, it seems the Quicken Loans National is on its way out. And there is nothing Tiger Woods – or his foundation – can do about it. Sure, Quicken Loans will stay on as a sponsor on the US PGA Tour as they have already been linked with the new Rocket Mortgage Classic (June 24-30) event in Detroit on next year’s Tour schedule. But on the face of it, the event at TPC Potomac at Avenal Far, Potomac, Maryland, won so impressively by Francesco Molinari, will not be there next year. And that must be hard for Woods to fathom. The Quicken Loans National was a tournament Woods began 11 years ago but now seems to have no future. PGA Tour officials refused to say it was ‘gone’; the same goes for Woods’ own employees, who work for his foundation and live in the Washington DC area. Yet it seems other than some official proclamation, the tournament is done, at least in its current capacity – and certainly for next year. “The support has been fantastic, we just haven’t got the sponsorship dollars,” Woods has been quoted as saying. And it appears that is where the tournament has been at for more than a year. Quicken Loans’ original deal expired after last year’s tournament. The tour opted out of an agreement to play at Congressional this year due to a hefty site fee and chose to return to TPC Potomac with the hope of finding a new title sponsor.